I have to admit: when the Samsung Galaxy Note — the phone/tablet combo — was first released, I was one of the few who thought it wouldn’t take off. It was too big, clunky, bulky and frankly, I didn’t see the point of having a phone bigger than your hand. After all, I did come from a pre-smartphone generation where cellphones were once celebrated for how small they could go. At one point in the early 2000s, they even made one that was pen-sized, so what was all the fuss about a phone that was almost as big as your head? It’s been several years since the first phablet was released — we’re now on the fourth iteration of the massive handset — and it seems that they’re here to stay. In fact, even Apple wants in on it, releasing the upsized version of the iPhone 6, the iPhone 6 Plus. To fans of the iPhone 6 Plus, however, I’d like to make a case for why Samsung still wins the phablet game. 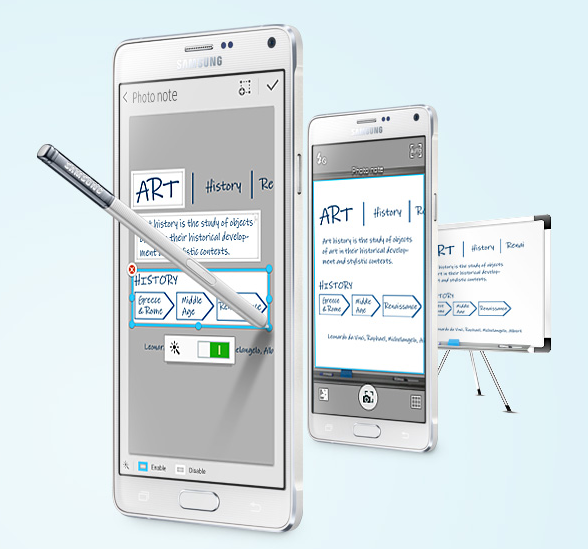 It’s true: the phablet, with its big screen and stylus, is not for everyone. Personally, I prefer having a phone that I can use with one hand, where I can type comfortably with the pads of my fingers, and where I don’t feel like a child playing phone on my mommy’s iPad when I have to make calls. But it does have its merits, particularly when you’re choosing a phablet made by the same maker who has had four chances to keep improving on their original design, as opposed to one who just jumped onto the phablet bandwagon last year. I’ve always judged gadgets on four things: design, display, camera, and battery life. No matter how much you geek out on chipsets and OS, it will always come down to these four basic things for me. In terms of design, the phone is elegant and neatly designed, featuring chamfered edges and subtly smooth curves. It’s made from a combination of aluminum and polycarbonate, steering clear from a full metal chassis, which is prone to overheating. This also makes sure that it remains durable and sturdy. One of Samsung’s biggest advantages is also their use of a removable battery slot, which they have retained through the years. The latest iteration of the Note is taller, but narrower and thicker than its predecessor, making it somewhat heavier. You’ll notice it when you do a side by side comparison of both handsets. But on your hand, the difference is pretty negligible. That said, among all the large-screened options in the market, the Note 4 isn’t exactly the most comfortable one to hold in your hand, but it makes up for this with a bigger screen. 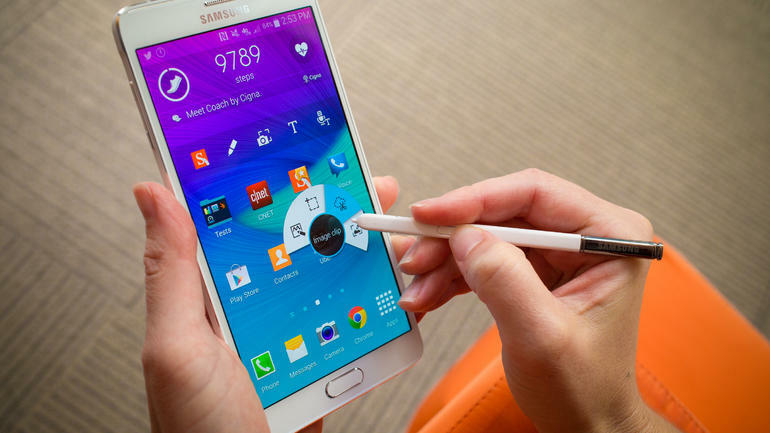 The Galaxy Note 4 upgrades the display quality significantly from the Note 3. It has a 2,560 x 1,440 resolution on a 5.7 inch Super AMOLED screen, that offers 515 pixel density. It’s a significant improvement from the 386 pixel density of its predecessor, and offers a crisp display with awesome viewing angles, improved outdoor visibility and a lot of extra details. Yes, that means you can see the screen under direct sunlight — a pet peeve of mine since the world started making touch screen phones. 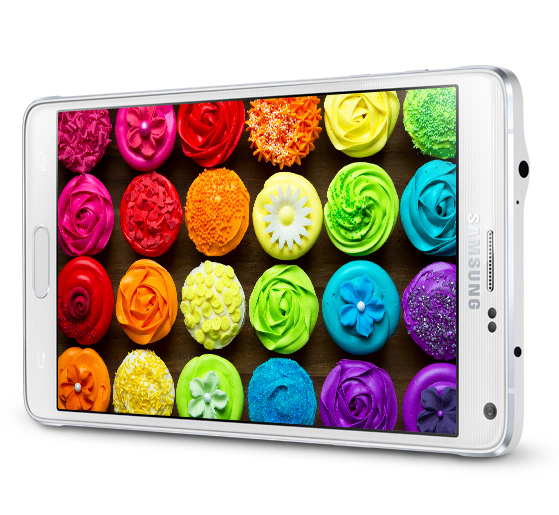 To make the most out of its display, the Samsung Galaxy Note 4 also upped its camera game. The resolution has been bumped up: from 13MP, it’s now 16MP, and apart from the improved resolution, it also offers great wide angles, including a selfie panorama setting. What’s most impressive is the Note 4’s low light performance. Now equipped with image stabilization, it makes for better images for photos taken during night time. Of course, it’s still not as great as the iPhone 6 Plus camera — which Apple always wins, hands down — but it’s close. To use all these features, Samsung made sure you get a full day of battery life to enjoy it. The Note 4 receives very, very little battery improvement from its predecessor. Granted, the battery life from the Note 3 was already pretty great, but with this year’s model — which houses a faster chipset and a higher resolution display — it’s likely that the battery might take the brunt of it. Surprisingly, though, I ended the day with around a fifth of the battery still available — after a full day of use, an active camera, and apps running all day. That’s a little over 13 hours. But for peace of mind, the phone can easily go on Ultra Power Saving mode. 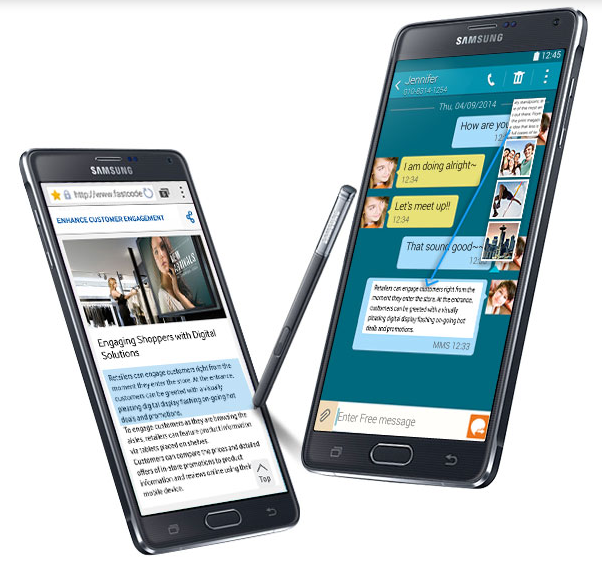 So here’s my bottom line: phablet fan or not, the Samsung Galaxy Note 4 might just change your mind about large phones. The Note 4 isn’t new, but it does have competition now with the arrival of iPhone 6 Plus. All things considered, and I say this objectively (believe me, as I am still not the biggest phablet fan), it’s still the best large phone available in the market. Regardless of the existence of the iPhone 6 Plus, I’d still prefer to bring out the Note 4 in public, whose seamless multitasking and aesthetics combine to offer a powerful, well-designed smartphone. More to the point: if I were to purchase a phone, I’d certainly consider getting one from a maker who knows what they’re making. Samsung has been creating the phablet for some time now, while Apple just started last year. Sure, both are great phones, but I’d have more peace of mind knowing Samsung already knows what they’re doing, and aren’t just testing the waters to see if they have what it takes to win the phablet game.